MINDFUL PEACEFUL PARENTING. RESPECTING A CHILD. PROTECTING FAMILY DIGNITY. I am a MOM to a boy. I work. I believe. I hope. I have many things I love, things I don't like and some I am unsure about. What I know without a doubt is that I want my living space to be home and smell like freshly baked bread, vanilla and spice. I want it to be a place of light, dance and laughter. I do not mind if it is a little messy and please, no commercial cleaner smell. I cook at home. If I could learn, I would make it all from scratch. How do I cook at home in the evening with an active little fellow running around? This is what my blog is mostly about. I involve my kid and he helps me most of the time. Some days he goes away and plays with his toys. Some days my cooking is not all that delicious, we laugh and then make something else. Some days we go out. What is important to me is that I love my time with my kid, I love my family and I feel good about being a mom. PARENTING is something I learn as go. "HAPPY" is my goal. Happy parents = happy child. The question remains, how do I get there, how do I stay there. How do I get my child to listen without being forceful? How do I achieve peaceful mindful parenting and remain true to myself? How do I learn to accept my child the way he is instead of falling into "society expectations" trap? 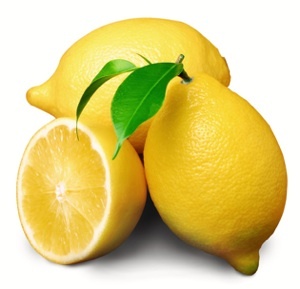 Lemons are so yellow and sunny, they make me smile. I love to drop a slice in my cup of tea. Skeletons :) Our son nicknames us as Monsters and Skeletons (think Halloween).